Charity fundraisers have been taking a leap of faith by abseiling down the side of Peterborough Cathedral. Bishop John Holbrook was one of a number of people to abseil down the side of the historic building this morning. The challenge is taking part down the North West Tower, giving the participants a magnificent view of the city - before starting the 150ft descent. The abseil is part of the 900th anniversary campaign, and 200 people will be taking on the challenge over the next two days. 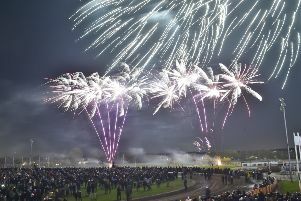 Peterborough City Council chief executive Gillian Beasley is one of the others who will be taking part, as well as well-known local Historian Jonathan Foyle.